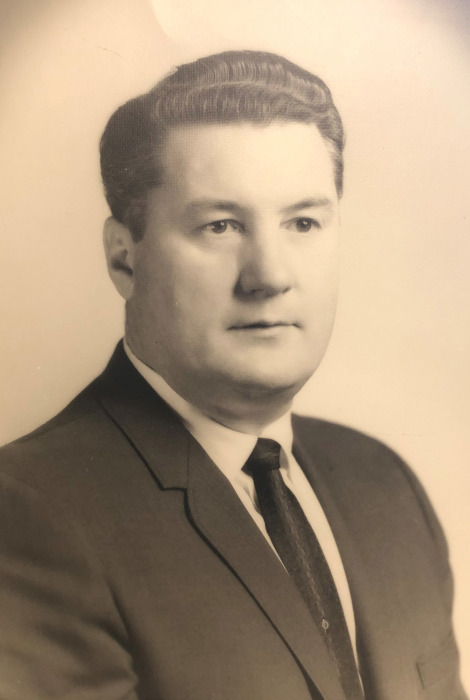 Harold Aden “Fuzz” Stafford, 94 of West Terre Haute, passed away on Monday, December 3, 2018 at 10:38 PM in his residence. He was born November 11, 1924 in West Terre Haute. Harold was a retired Chief Boatswain’s Mate in the United States Navy and served during WW II. He was a Lifetime member of VFW Post # 972, the Fleet Reserve Association, and Krietenstein American Legion Post # 104. Fuzz was an avid gardener, and created his own “special mixture” of fertilizer which produced perfect vegetables every time. He is survived by his wife Katherine Krucig Stafford, whom he married August 10, 1972, and his son Sean Stafford (wife Joyce). Also surviving is his granddaughter, Katie Graham (husband David), 3 great grandchildren, Haylei Stafford, Gabriella Graham, and Bradley Graham, as well as two special nephews, Gibby Elliott and Phil Craft. He was preceded in death by his daughter and son-in-law, Susan Korenski and George Korenski. Funeral services will be held at Fitzpatrick Funeral Home, 220 North 3rd St., West Terre Haute, IN on Friday, December 7, 2018 at 2:00 PM, with Pastor Keith Warner officiating. Burial will follow at Pleasantview Cemetery, with military honors provided by VFW Post # 972. Visitation is scheduled for Friday from 11:00 AM – 2:00 PM at the funeral home.